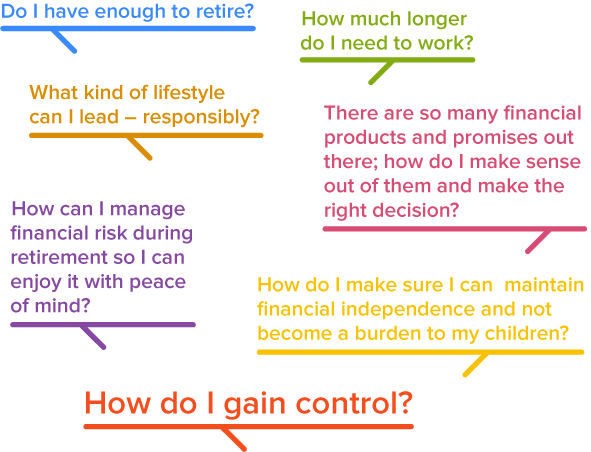 There are so many questions that race through our minds as we approach retirement. A new kind of help. Good planning requires diligent research. Honest commentary from John Bevacqua, an expert in retirement income planning. Count on Nestor, our behavior-based visualization technology, to find a retirement income strategy. Uses our “3 Lines of Defense” framework to intelligently protect your retirement. Want to talk to a professional before moving forward? Browse customer reviews in our advisor directory & find a professional that’s right for you. Oh,by the way – these are fee-only advisors, so don’t worry about all the nonsense. Looking for simple, low fee, no load financial products?. Review our product directory for detailed information on products from leading financial institutions. All we do is retirement income planning. Period. This makes us leaders in a complex field. We do not manage assets, receive commissions, or engage in securities or insurance transactions. Any fees received from third parties are not contingent on sales, referrals, or any other customer related activity or decision.